For higher temperatures or immersion in chemicals, Heat Resistant Stoppers and PetroChem® Stoppers are available. PetroChem® Stoppers are manufactured in sizes 1 – 44” (25 to 1,118 mm) and have a standard 1.3 m hose attached, each fitted with a Schrader Valve. 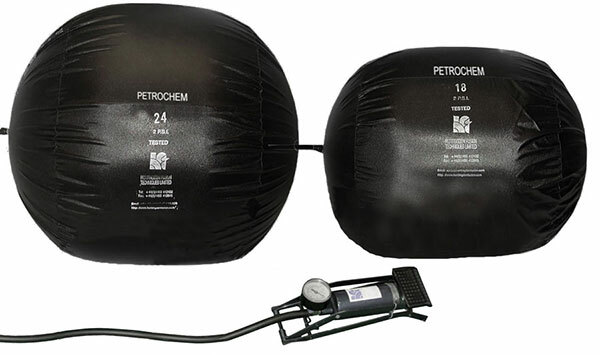 Similar in appearance to the standard Inflatable Stoppers, the PetroChem® Stoppers are made with an internal flexible rubber that is resistant to hydrocarbon liquids or gases. Heat Resistant Stoppers have a temperature range up to 300ºC (572)ºF. 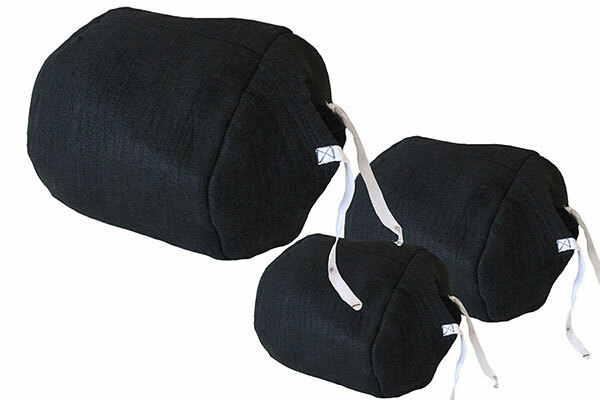 Again, similar in appearance to the standard Inflatable Stopper, but are manufactured with Heat Covers to protect the Inflatable Stopper. 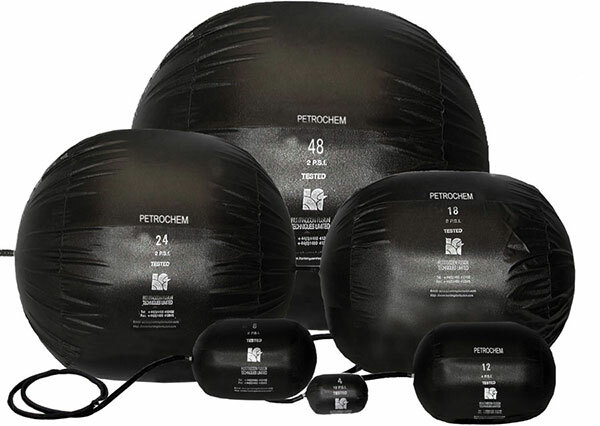 For applications where high temperatures or immersion in chemicals are likely, a range of PetroChem® Inflatable Stoppers is available. Identical to the Standard Inflatable Stoppers, PetroChem® Stoppers are manufactured with an internal flexible rubber that is resistant to petrochemical fluids and vapours. Heat Resistant Covers are available for PetroChem® Stoppers, to protect the Stopper, allowing it to withstand a temperature range up to 300ºC (572ºF). They are manufactured to suit all sizes within the PetroChem® Range.